Flappity flippers, the Octonauts are venturing out of the launch bay and into Melbourne Aquarium's SEA LIFE these school holidays in a family-friendly program that sees the kids favourite animated underwater TV characters come to life. Based on the hit TV show, Octonauts favourites Captain Barnacles and Kwazii are all set to 'explore, rescue and protect' Melbourne Aquarium's SEA LIFE. 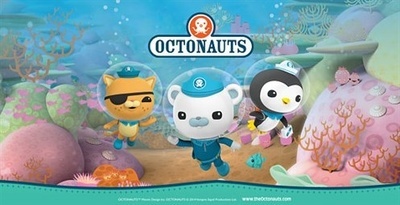 Meet and greet Barnacles; the brave polar bear captain of the Octonauts as well as sidekick Kwazii; the daredevil cat with a mysterious pirate past. There will also be an opportunity to explore the wonders of Melbourne's finest aquarium following an interactive Octonauts quiz trail, and even a chance to win a variety of Octonauts-themed prizes during daily presentations throughout the school holidays. Get ready for an underwater Octonauts adventure your kids won't forget, without getting a single thing wet. Visit Melbourne Aquarium from 20 September to 5 October 2014. Opening hours are: 9.30am – 6pm, book your tickets online to save.